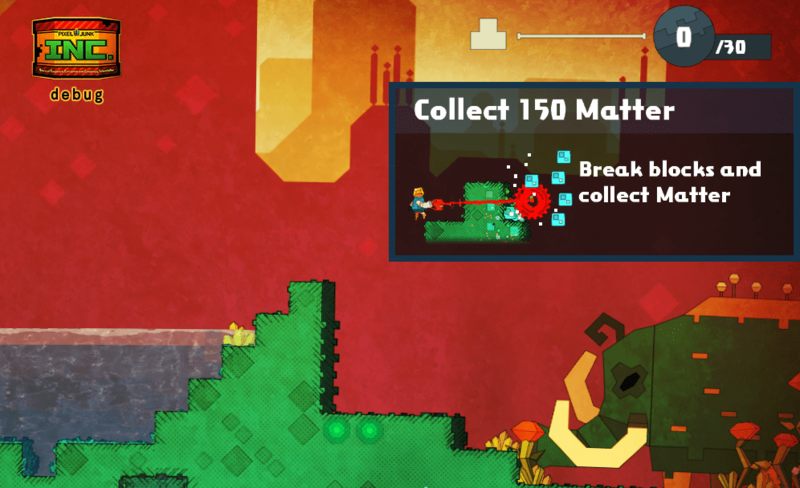 IGF build was a goal last week that we successfully submitted!! Yay! 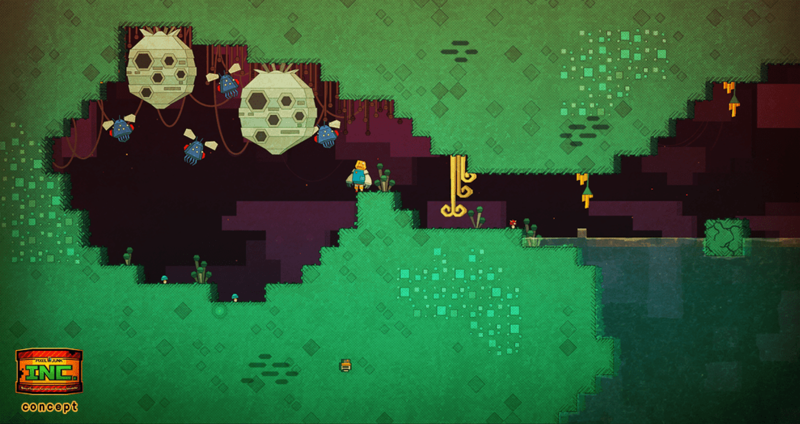 Objective this week is to add the alive feeling to the world, the concept of the nest of the enemy (also some decorations the player can’t collect) to give a different atmosphere from other areas. 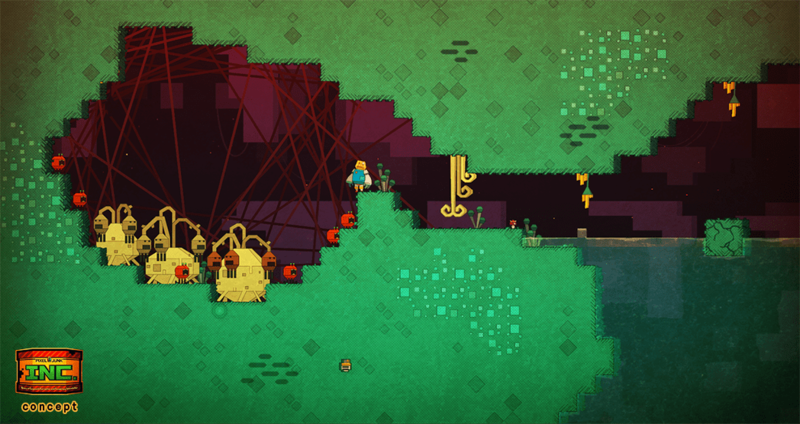 I’m thinking about nests where enemies are born and surrounding cave decorations. I want to think of different design depending on each type. 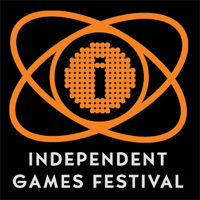 So.. it looks like we’re suddenly submitting for the IGF! There wasn’t much time this week, but we’ve been trying to fix any show stopping bugs and make the first-user experience better. To help nudge the judges along, some simple tutorial popups went in and there’s new visual feedback on the matter and coin collection. There’s also a simple first version of the order framework, where the Robo Exec orders particular types of soup to satisfy hungry planets. Here’s a soup factory I made today (shortly before it was destroyed due to a bit of a power supply issue). Time to break it on down FUNKY style! The farms for mushrooms and Tomatys are tucked away in the mountain on the right. Conveyor belts ferry ingredients into funnels (still debug with no art) which transfer them to adjacent buildings. The soup then gets carried to the waiting launchpads. Next step was going to be building more factories and launchpads, to really scale up production. Would also have needed more greenhouses and a larger area for farming Tomatys to make enough soup. I was thinking of ideas to enhance the effects to be more dynamic this week. Things like the representation of building damage, or where to put items… This week Design is here! The door! The purpose, to emphasize the difference of the world inside and outside the base more! Is not fixed to be like any spec yet (such as Enemy can use? for example). It is a test of what looks feel good. I want to implement! Until next week, OPEN THE BEER!